It’s a new month which means there’s a new Buffet collection at Gingerscraps! 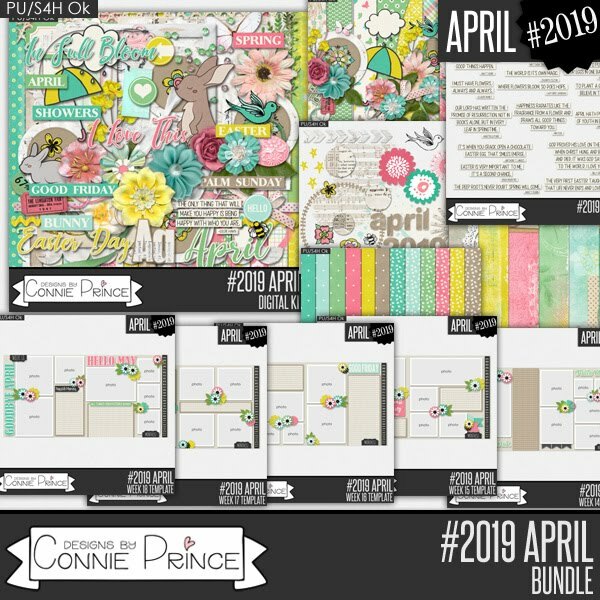 Connie’s newest collection is 50% off until the 5th! At first I wasn’t sure what to scrap with this collection. Yes, I work in the construction industry, but I don’t exactly take a lot of photos at work. Finally, I decided to scrap about this year’s rendition of our yearly Chinese New Year lunch that I do with some of my former co-workers. I’m so excited to be guesting for Connie Prince again for the month of April. The first kit I get to work with is #2019 April. It is part of Connie’s #2019 series. Here’s a look at all the awesomeness you’ll get in this mega stash bundle! Here’s a closer look at the kit. Be sure to check out the rest of the packs in the bundle in the store. You can purchase Gingerscraps ~ Digital Scrapbooking Studio. I love how soft this kit and felt it went perfectly with the dress I wore last Easter. I’m pretty blessed to have so many wonderful ladies at my church I can call my friends and the photos I took with some of them last Easter was a perfect thing to scrap. ANIMAL PARK is a fun new theme park collection by Magical Scraps Galore, inspired by Marina’s favorite animal park, Animal Kingdom! In beautiful earthy tones and jam-packed with animal prints and tribal patterns, this collection includes references to favorite rides and attractions, such as safari trucks, dinosaurs, wild animals and insects, African and Asian embellishments, among many other fabulous goodies and patterns that are perfect to document your Animal Kingdom pictures as well as your zoo trips and safari vacations. 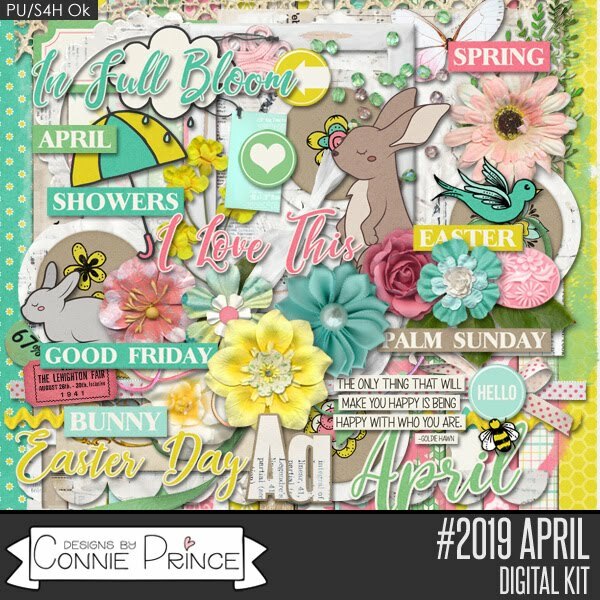 You can find the full collection at 58% off -or the individual kit and add-ons at 30% off– through March 28th at GingerScraps! I have two layouts using Animal Park to share today. These document our lunch at Tusker House at AK in 2014, well at least the start of our lunch. This week, you can also find Marina’s other Animal Kingdom collections, BIOLUMINESCENT WORLD and PREHISTORIC WORLD, on sale too! Marina created these fun animal print ears that coordinate with her new Animal Park collection. Visit her blog HERE to download and enjoy! I’m trying to finish up at least the first two days of our 2014 Disney World vacation since I’m hoping to make a print order soon, so here is another page I’ve made. This one use Magical Scrap Galore’s Bayou Princess kit. This is the second page about our resort. You can see the first page in my blog post about Bayou Princess.